There was something special about the Charger even before King Herod gave it to Salome, his stepdaughter, to carry the bloody, disembodied head of John the Baptist. Rumor held that Babylonian seer Nabonidus had imbued it with the ability to predict the future. Recently unearthed in an Egyptian tomb, Salome’s Charger is seen by many as the greatest archaeological discovery of the 21st Century. That is, until a student is murdered and the charger and its top researching scientist disappear. Now treasure hunters, thieves, archaeologists, scientists, reporters, and cultists are all looking for the same golden charger, and the rewards go beyond money. Some are looking for a quick payday. Some are looking for answers from God. And some are looking forward to ending the world. Will Salome’s Charger provide answers or simply mark the end of it all? Life was pretty simple for Infinity Richards as a teenager in a private school in Baltimore. Then she woke up to discover that she’d spent the past two years in a prison camp. Now she and her friends are faced with a trek across a forbidding landscape scarred by a surprise nuclear attack on the United States. Their journey will lead them past hot zones, warlords, “crazies,” occupying Coalition forces and an assortment of allies and foes. It may take her years to get to Camp Zion in the West where her father is reorganizing American forces to take back their country. But in the meantime, her journey across apocalyptic America will turn her into someone stronger, smarter and more courageous than she ever imagined she would be. More than three centuries ago, John Bunyan wrote Pilgrim’s Progress, second only to the Bible in readership. 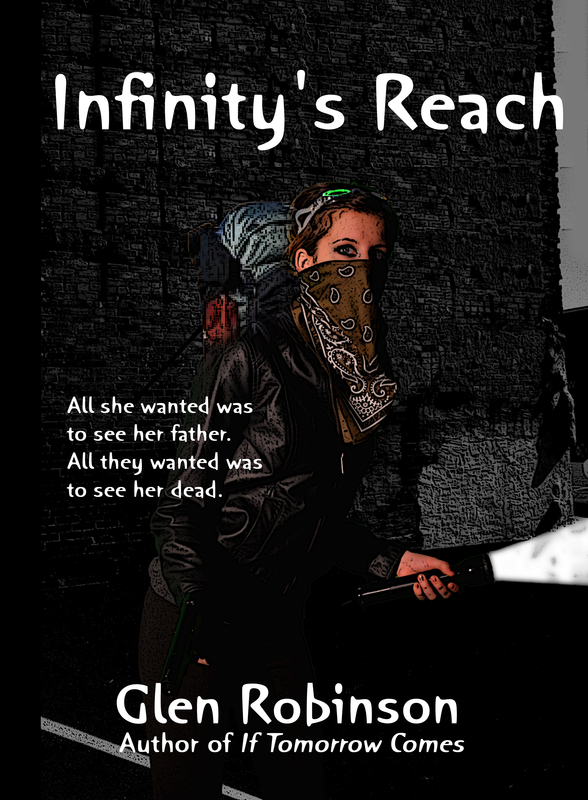 Now Infinity’s Reach revisits the challenges and lessons of the original Pilgrim’s Progress in a totally new and exciting setting. What will life be like when “normal” is just a word? *When the once-protected Constitution of the United States is trashed with the Bill of Rights, the first casualty? *When an unprecedented barrage of natural disasters force world governments to unite and seek a religious solution that disregards the law of God? *When once-loving husbands and wives, sons and daughters, split over issues of faith and follow different masters? *When the denomination you grew up in is declared a “dead religion” by the government and forced to shut down its operations? *What will life be like when the world goes insane? 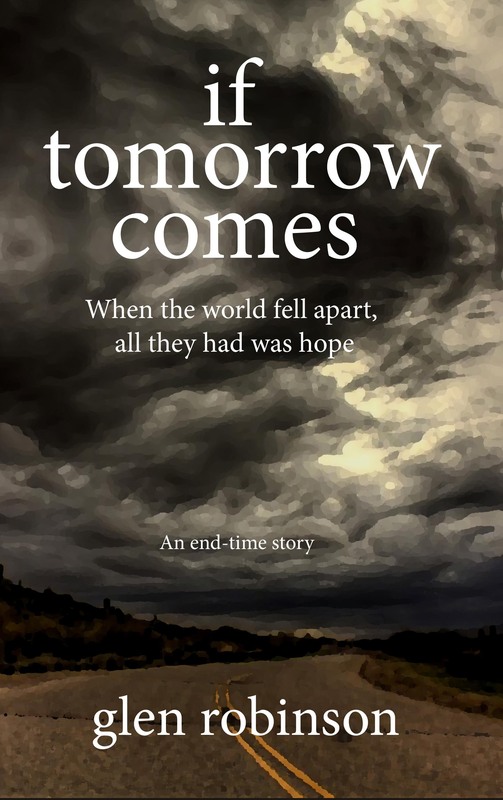 When the world ends?If Tomorrow Comes is the story of five people–a family–who find out. What they discover and experience may be what many who read this book experience in just a little while. Certain events described in these pages are as real as this morning’s newspaper–events described with deadly accuracy in ancient Bible prophecies that predict tomorrow’s headlines. Will tomorrow come? How many tomorrows does humanity have left? Only God knows. But those who know and love Him don’t have to worry. Their tomorrows and forever are in His hands. It’s been ten years since Harris Borden went to prison for a crime he didn’t commit. And journalist Michelle Kinkaid considers him dead, just as the FBI does. That is, until Special Agent In Charge Roy Bassett enlists her help in finding the still-alive Borden, at the same time that Borden’s wife Katya, now hiding in Europe and sought by the FBI and the evil Universal Corporation, seeks her help in finding him as well. Meanwhile, college student D.J. Washington gets caught up in the music industry, only to find that the girl of his dreams and a chance at fame and fortune don’t add up to doing God’s will. Is the mysterious, incredibly frightening pop star Tori Ash just a spoiled superstar, or someone, or something, more? Will Harris and Katya find each other before Bassett finds them both? Which side will Kinkaid choose to help? And who is this mysterious group of street champions called The Heretics? 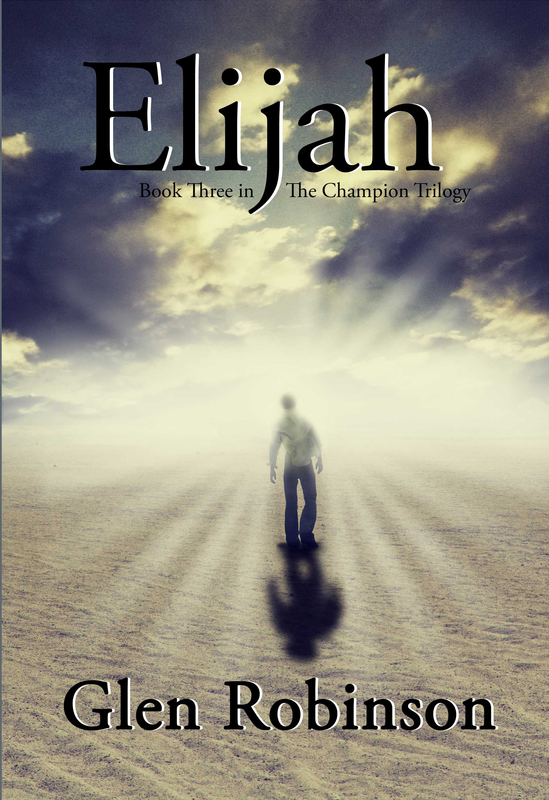 In this second installment of The Champion Trilogy, readers will once again be challenged to consider what surrendering to God’s will can truly mean. It’s been 22 years since Harris Borden was called to challenge the demonic forces behind the Universal Corporation. Michelle Kinkaid is a best-selling author, capitalizing on her knowledge of the battle against Universal. Douglas Washington is a freshman U.S. congressman, struggling to maintain his convictions amid powerful temptations. His former flame Lila is living her dream as a rich and famous pop diva. And Harris Borden has languished in isolation for 12 years, secretly held captive by Universal. Powerful people are on the move, with the goal being total control of the United States of America. 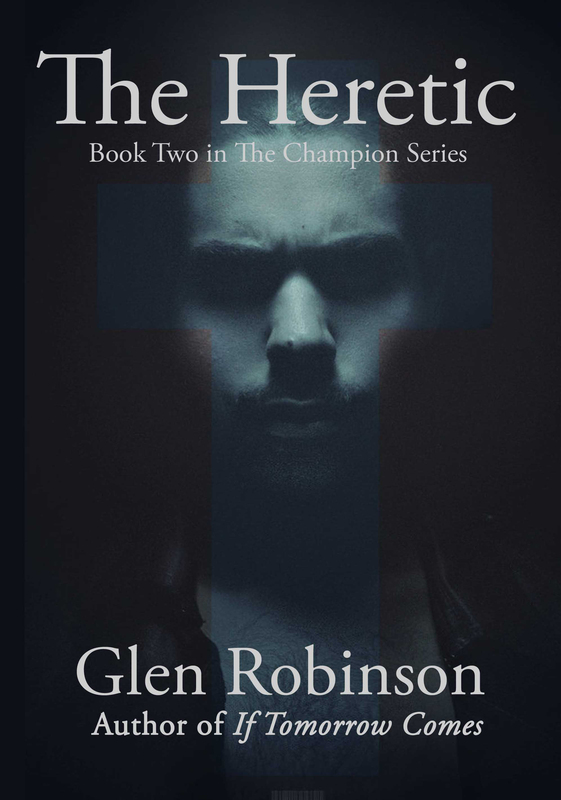 While The Heretics, devastated by a mission gone wrong, seek to regroup, find Borden and rescue him, a few faithful souls continue to stand against the overwhelming onslaught of demonic forces that is about to be unleashed. 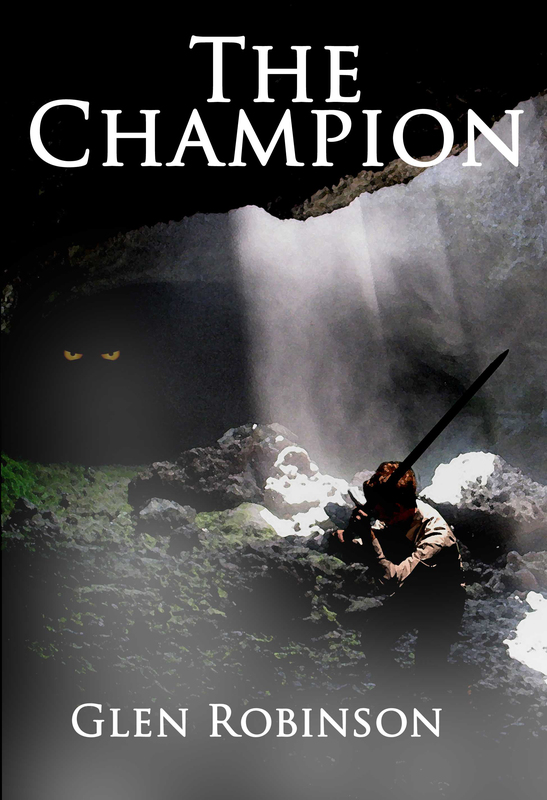 This is the exciting climax of The Champion Trilogy. Hi there! I know that is kinda off of topic yet I was wondering if you knew where I could locate the captcha plugin for my remark form? I’m using the same website platform because yours and also I’m having diffciulty acquiring one? Thanks a lot! I’m using the one that came with the theme. If you have the same theme, you should be able to get it (if it isn’t already provided). Sorry I can’t help more. Those two books are published under Farenorth Press, which only publishes on Amazon. Sorry.